George Nichola, WfWI-Iraq’s Life Skills and Sponsorship Manager, recently shared his thoughts on the challenges Iraq’s most vulnerable women face and the security situation in the month and a half since the US troop withdrawal from Iraq. The US completed withdrawal of all military troops before the end of 2011. It was a great moment in modern Iraqi history, a step toward complete sovereignty for the Iraqi people. After the old regime was defeated by the US troops and allies, people wanted more independence in a free and democratic country where people of different religious or ethnic backgrounds could live peacefully. Day by day, this dream has been fading away, even before the US government announced the plans to withdraw troops from Iraq. Before the withdrawal, the Iraqi people, especially women, grew concerned by what seemed like a lack of focus on doing what would be best for Iraq and its people. Because everyone was concerned about the security situation, they worried whether the withdrawal was happening too soon. In the days after the withdrawal was complete, most of the participants in our program were very concerned about the security and safety situation. Our graduates in Karada who met to discuss how they can improve the services in their communities feel that the service needs of the local communities are not being addressed. There is no help for the elderly or those who are sick, who often have few shelters from the hot summers and rainy winters. Baghdad and other provinces have recently witnessed a series of bloody explosions in the very poor areas; in Baghdad roughly 11 cars exploded and killed more than 55 people, many of whom were breadwinners for their families and simple workers who were just waiting for public transportation. In Sadr City, a participant told us with a trembling voice and eyes filled with tears that her daughter was at her university when an explosion happened and some of her daughter’s friends were injured and others were killed. She asked her trainer if she should let her daughter continue to go to university or keep her at home, adding ” I lost my husband in an explosion in 2008 and don’t want to face the same situation with one of my children.” The daughter’s friends were waiting with a crowd of people for public transportation in the early morning when the bomb went off. Another participant in the same group asked why the bombers are targeting gatherings of Iraqi workers and those with no connection to the conflict? This question is often asked when explosions happen. 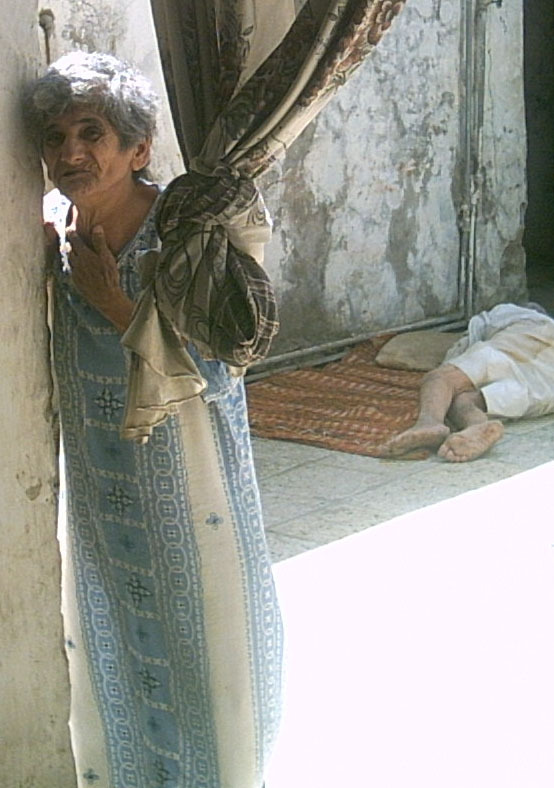 Since the US troops’ withdrawal, the victims of these attacks are often poor Iraqi families who are struggling to have daily bread. 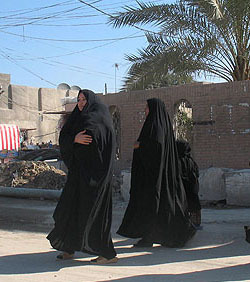 Women walking in street in Iraq. In general women are more concerned about what will happen in the coming days, as extremists on both sides will use violence that will hurt uninvolved civilians. Educated and uneducated women agree that the coming days will be more severe and more difficult. They worry whether the Iraqi army will be strong enough to protect Iraqis and how far the violence will go.